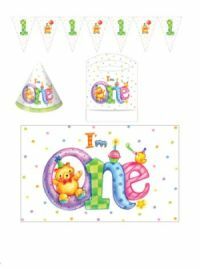 Sorry, we are currently sold out of 'My 1st Birthday Highchair Decoration Kit'. Please check back later. 1 Plastic Mat 48" x 30"